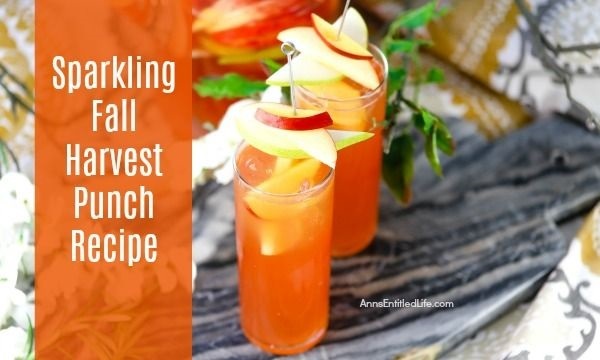 For a delicious taste of autumn, mix up this sparkling fall harvest punch recipe to share with friends and family. This easy punch recipe comes together in minutes. 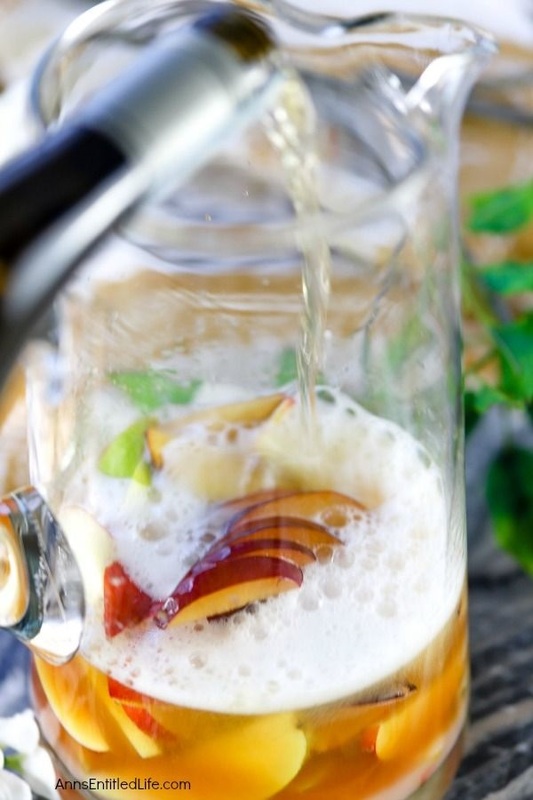 Enjoy the crisp, fresh taste of the fall harvest in a glass with this spectacular fall punch recipe. Sparkling wine will taste different depending on the variety of grapes used in the production of the wine. Champagne is citrus, white peach, and cherry, and made from Chardonnay, Pinot Noir and Pinot Meunier grapes. Prosecco is green apple, honeysuckle and pear and and made from Glera grapes (can also include Verdiso, Bianchetta Trevigiana, Perera grapes). Parellada (citrus), Xarel·lo (pear), your beverage will be influenced by the undertones. Germany Sekt is usually sweeter than Champagne, Sekt uses grapes imported from other countries (France, Italy, and Spain). 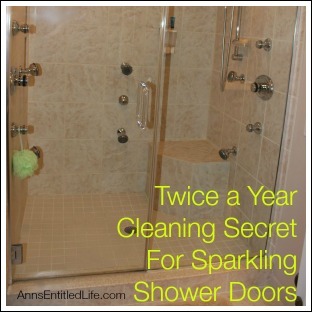 It is more like Prosecco than Cava or Champagne. US sparkling wines will vary greatly by region and grapes. There are also now sparkling wines being imported from Argentina and Australia! Definitely check the notes on the bottle of sparkling wine you are using to see how to balance or enhance the fruit notes with your cut fruit. 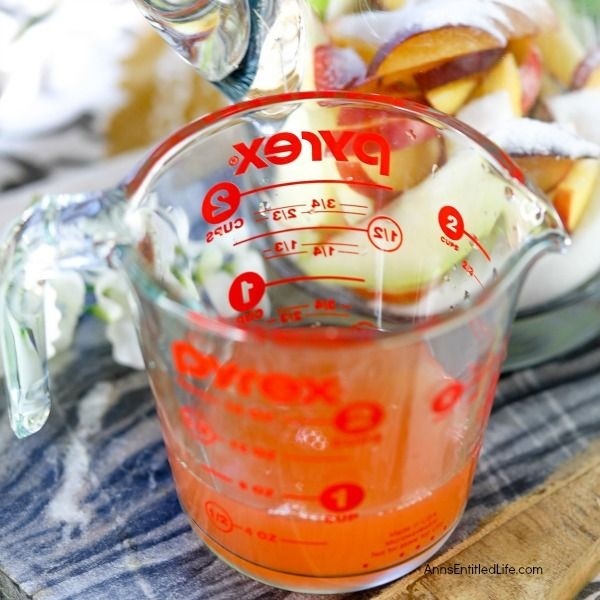 • Feel free to add to, or reduce, the amounts of fruit, cider, or cranberry juice to change the taste of you fall harvest punch! 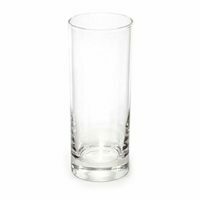 • The fruit is one TOTAL cup as listed. 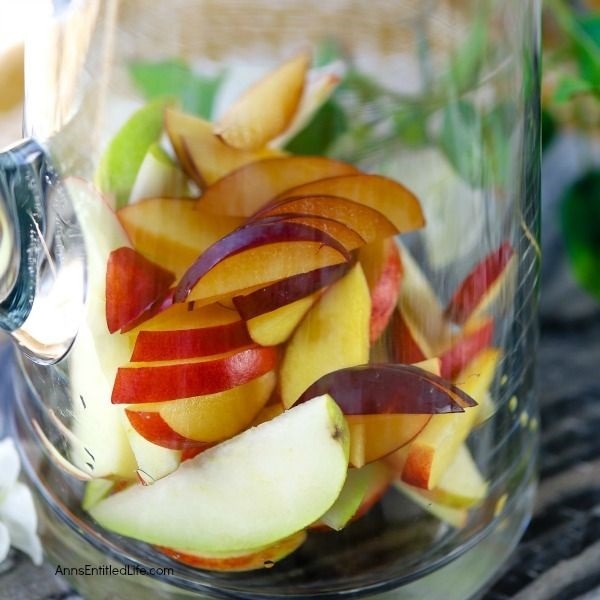 Use plum, peach, apple, pear, etc to achieve the taste you would like. 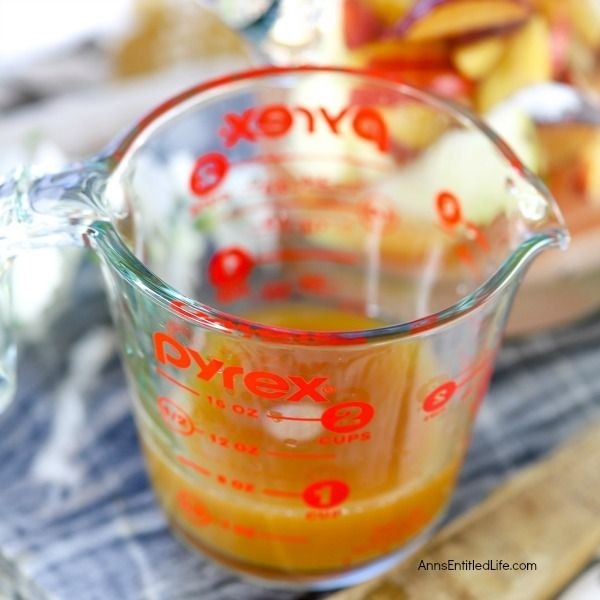 The recipe I featured used apple, plum, and peach as a mix to achieve one cup. You can definitely use only one fruit, but meshing flavors is very nice. • For additional garnish, consider a sprig of fresh rosemary. 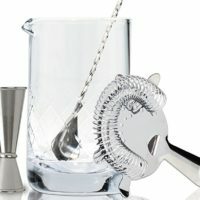 • Place one cup of sliced fruit at the bottom of a cocktail pitcher. • Add ½ cup sugar. • Add ½ cup hurricane cocktail mix. • Add ¾ cup apple cider. 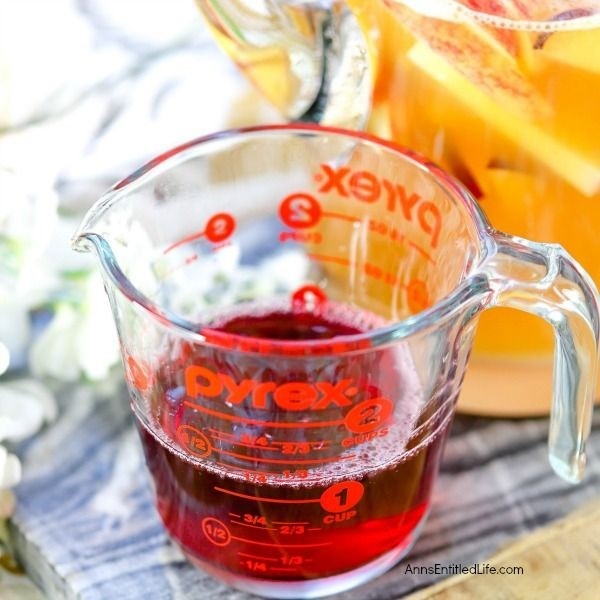 • Add 1¼ cups Cranberry Juice. 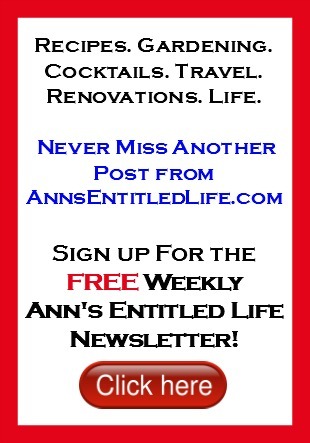 • Use a cocktail spoon or long stirrer, and mix well. 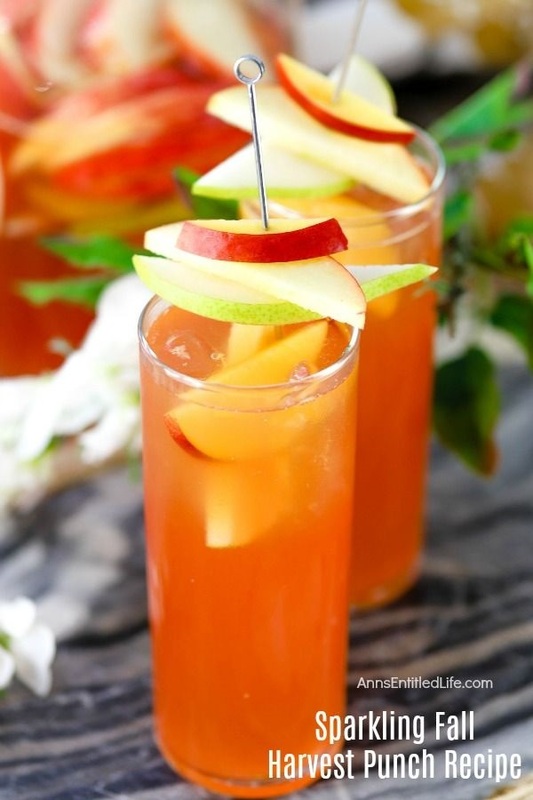 • Fill a Tom Collins glass one-third of the way with ice, and pour the Sparkling Fall Harvest Punch over the ice. 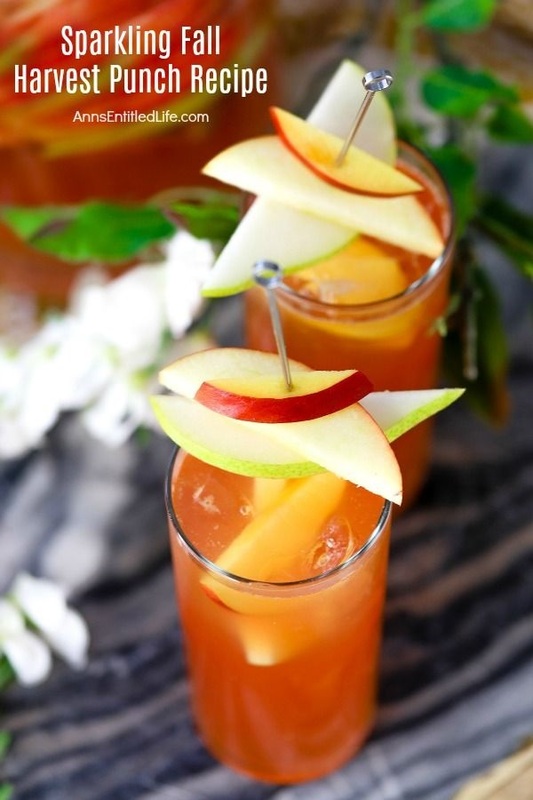 • Garnish with fresh plum slices, peach slices and apple slices on a cocktail skewer. 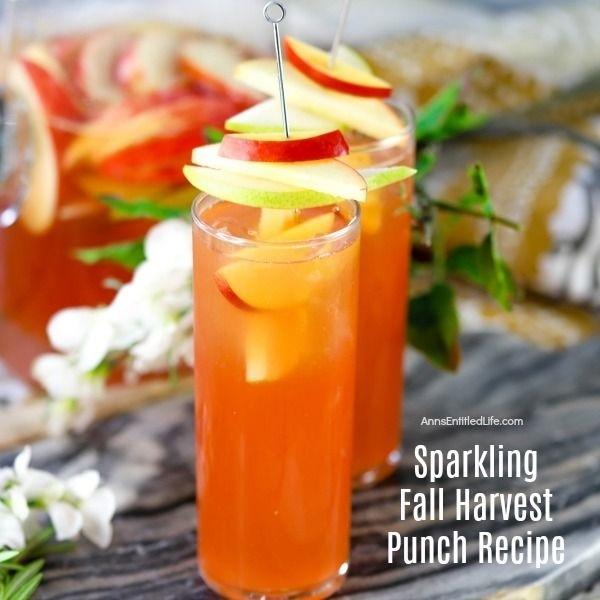 • Fill a Tom Collins glass one third of the way with ice, and pour the Sparkling Fall Harvest Punch over the ice. 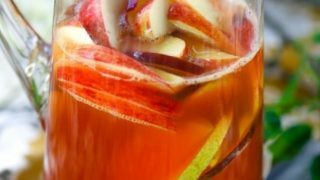 • Autumn Punch Recipe – This is a great fall punch made with hints of some of great autumn flavors. The subtle taste of cherry, cranberry and fresh picked McIntosh apples makes for a wonderful Autumn Punch; a great drink when spending time relaxing in front of a fireplace or gathered outside around the fire pit. 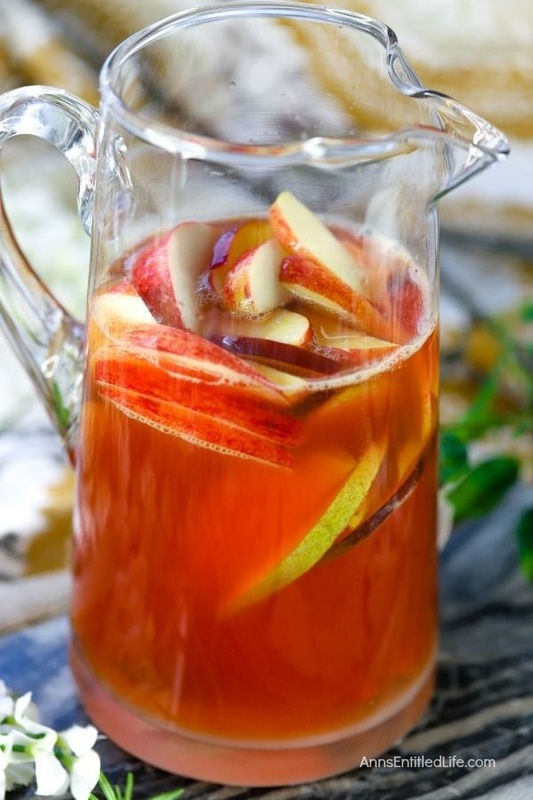 So raise a glass of Autumn Punch to the season! 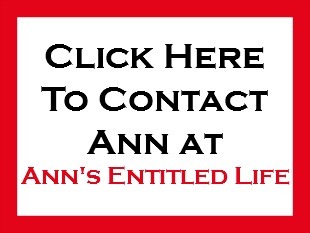 • Tropical Rum Punch Recipe – This Tropical Rum Punch Recipe is delicious, cool and refreshing. The rum punch combines the flavors of rum, brandy, and fruit juice into a fabulous tropical drink!